Could Google be readying a replacement for Android? Home / Blog / Mobile Phone News / Could Google be readying a replacement for Android? If you want a new smartphone today, there are really only two choices when it comes to the operating system; Apple's iOS, which means choosing an iPhone product, or Google's Android, which is on just about everything else. There have been a few attempts to rival this duopoly over the years. Microsoft, for example, pushed huge resources into its Windows Phone platform, including spending hundreds of millions of dollars on the purchase of Nokia before admitting defeat, while other ambitious attempts from startups never really got off the ground. However, could the days of at least one of these two dominant operating systems be numbered? 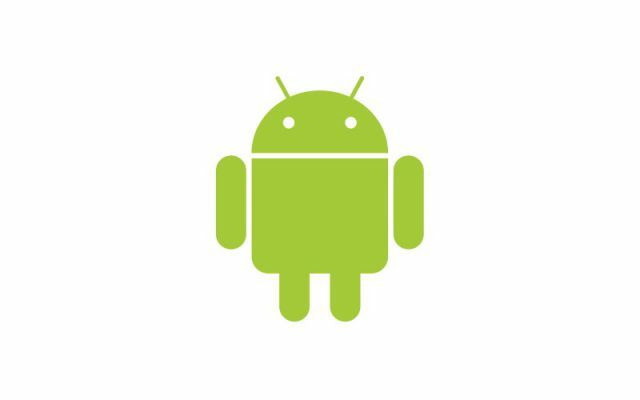 According to a recent report from Bloomberg, Google has been secretly working on a potential successor to Android for more than two years, and it could be set to replace today's operating systems in around another five. Known as Fuschia, the technology has reportedly been built from scratch to avoid the limitations of Android and create a system that is better-suited to today's more connected world. The current Android base code, Bloomberg explains, was designed in an era when the potential of smartphones was only beginning to be realised, and as such, it has numerous issues that prevent the operating system from being effectively upgraded to meet evolving needs. For example, Android was created in the days when touch screen devices were still new and fairly basic, so it has limitations on the types of inputs it can handle. In particular, Google views voice-activated apps as the future of computing, but Android is not built to handle this. Therefore, Fuschia is being designed to have such interactions at its core. Another issue Google is hoping to solve with its next operating system is the fragmentation of Android. Currently, Google relies on manufacturers to push out operating system and security updates to its devices, which has resulted in a complex system where different handsets run different versions of Android. This compares with the more uniform updating practices Apple is able to achieve with iOS, where it is responsible for all the hardware running the system. While most iPhone users receive the latest version quickly after release, only ten per cent of Android users enjoy the same speedy update. Additionally, Fuschia is aiming to be more flexible to enable it to adjust to multiple screen sizes more easily. This could be a key capability as Google looks to move its next operating system beyond mobile phones and tablets and install it on a wide variety of devices, from connected cars to TVs and refrigerators. This interconnectivity is another factor that is at the heart of Google's vision for the future of computing. According to Bloomberg, the focus for the team working on the technology is to create a single platform capable of running on all of the company's hardware, as well as third-party devices currently reliant on Android or Chrome OS. One insider who spoke to the publication said Google wants to start embedding Fuschia into connected home devices such as smart speaker within three years, before moving on to larger devices such as laptops. The ultimate goal of replacing Android – which currently powered more than three-quarters of the world's smartphones – is said to be around five years away. However, it seems there's still a long way to go before Fuschia becomes reality. While Bloomberg noted there are currently around 100 employees working on the software, and the project has the support of Google chief executive Sundar Pichai, there are still strong internal debates within the company about how the operating system will work, and Google has yet to demonstrate a real-world use of the software. For instance, Fuschia is said to incorporate strong security and privacy tools, but some have suggested that this would undercut Google's primary business model of using its users' location and activity to deliver targeted ads. According to people close to the project, these competing demands have already created friction within the company, with the advertising division so far winning the arguments. A full-fledged Android replacement may still be a few years away, but it will certainly be interesting to see what Google comes up with during the development process to address the evolving demands of users and find a solution that works for everybody.